Wario isn’t your typical heavyweight fighter – sure, his attacks pack a punch (with his smashes being among the strongest in the game), but he also has a small frame, high mobility, and a deceptively good recovery potential. Wario’s neutral special, Chomp, is another interesting tool that serves as a fast command grab. In addition to dealing damage to enemies, Chomp allows Wario to eat certain projectiles to recover health. 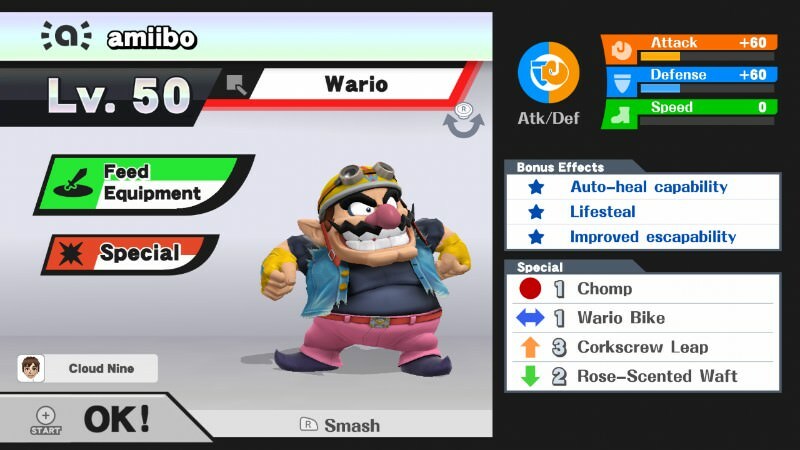 Wario also has a solid jab and even better tilts: his forward tilt has decent range and power, while his up tilt is a flashy way to catch falling opponents. However, Wario’s many strengths come with a few drawbacks. As you might expect from a heavyweight fighter, Wario’s smash attacks are quite slow: his forward smash suffers from particularly heavy ending lag. This limits Wario’s KO options, leaving his up smash as his primary finisher. Finally, Wario’s amiibo suffers from several flaws in its AI. It tends to overuse its down smash and aerials and has trouble successfully timing Wario Waft. Wario is an effective contender whose unique strengths break the norm of heavyweight fighters. 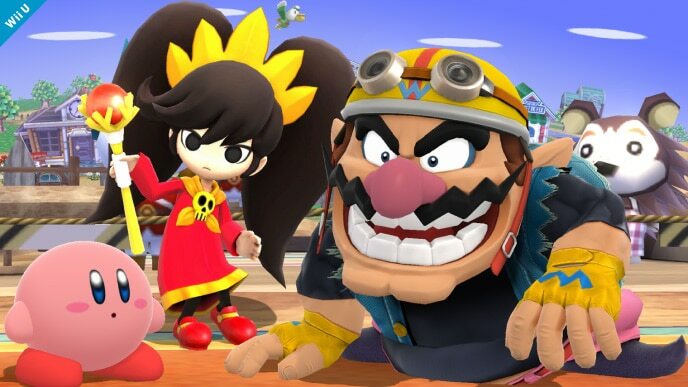 It might take a bit of extra work to hone Wario’s skills, but with patience and proper training, he can meet and even exceed the abilities of most opponents. Corkscrew Leap: This is a custom move version of Wario’s up special. 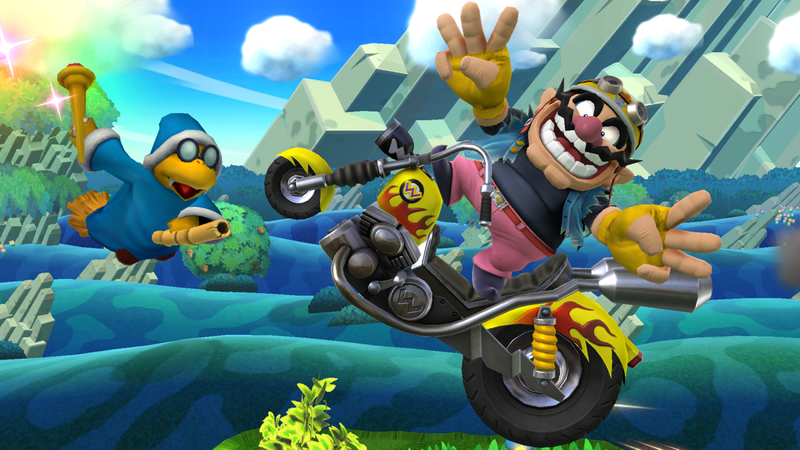 Wario will jump higher than usual, but the maneuver deals no damage. Corkscrew Leap isn’t instrumental to Wario’s success, but considerably improves his recovery potential. Rose-Scented Waft: This is a custom move version of Wario’s down special. Wario lets out a pink, pleasant-smelling fart that plants a flower on his opponent’s head. The waft itself deals less damage and knockback, but charges faster, making it the superior option. Neutral options: jab, forward tilt, up tilt, and neutral special. Wario’s jab is a bit on the slow side, but is a good “get-off-me” move that can temporarily repel opponents. Forward tilt and up tilt are stronger, and can even get KOs at the right percentages. Chomp, however, should be your go-to move. Its power and speed are unmatched, and although it has low knockback, its ability to quickly rack up damage is invaluable. Main KO moves: up smash. Wario’s forward smash is slow in its startup and ending lag, leaving up smash as his primary KO option. For this move, Wario performs a standing headbutt – during the attack, his head is intangible, meaning that it can’t take damage or knockback. Moves to avoid: down smash and side special. Wario’s amiibo tends to overuse its down smash if left unchecked. To minimize this chance, do not use down smash at all during training. 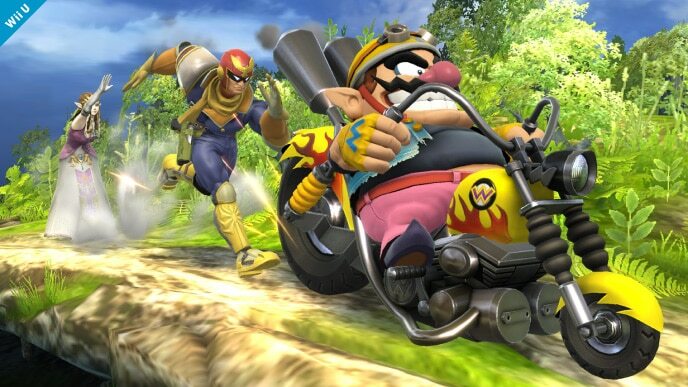 Wario Bike should be used for recovery purposes only. Situational moves: Rose-Scented Waft. With proper training, Wario can learn to use this move effectively. At first, though, he’ll frequently miss the attack. It’s your job to teach him to accurately time his farts to secure KOs on his opponents. Thanks to Blue and Arklaine for compiling Wario’s information. Images are courtesy of SmashWiki and the official Super Smash Bros. website.